The Property is located in the highly desirable North Scottsdale area, one of the top submarkets in the state of Arizona. 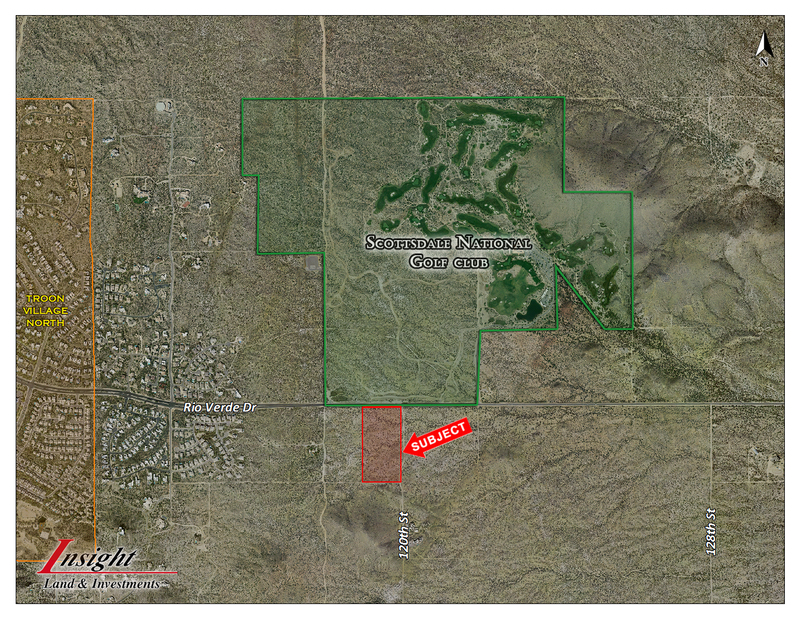 It is situated on Rio Verde Drive, directly across the street from Scottsdale National Golf Club. There are a number of other great private and public golf course communities in the immediate area; Whisper Rock, Estancia, Troon North, Troon Country Club, and Desert Highlands. The Four Seasons Resort, one of the area’s finest destinations, is located just a few miles away.